As solar technology becomes increasingly accessible and affordable, more and more people are finding innovative ways of using PV technology. Alternative sources of energy like solar have been around for centuries. It should come as no surprise then that ways of harnessing the sun’s energy through solar technology has changed dramatically over the years. 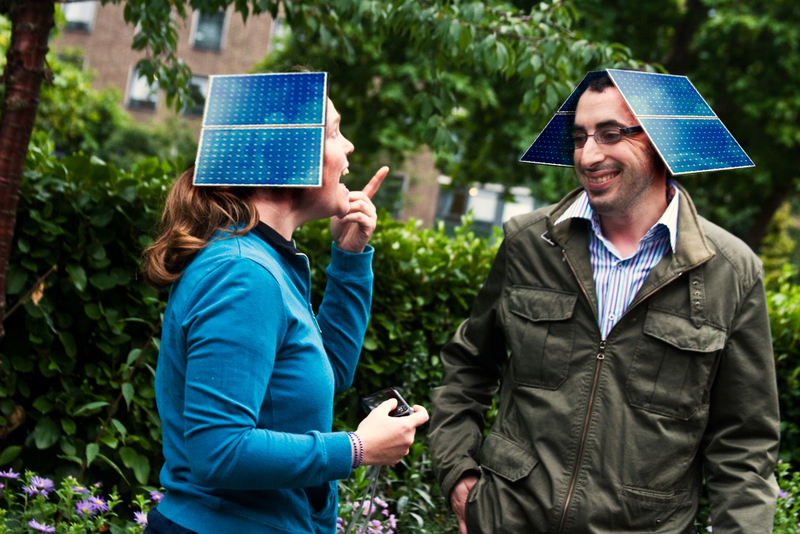 Applications for photovoltaic cells now range from highly utilitarian to totally fun and entertaining. Solar technology protects the environment by accomplishing tasks that would otherwise require conventional batteries or power from utility lines, and whichever way you choose to make use of solar cells, the positive effect on the environment will be felt around the globe. Without further ado, here’s our list of some of the most interesting and unusual uses for solar in today’s world. Some people have begun to use wearable photovoltaic generators, such as vests or backpacks with solar panels, like these from Birksun, or these from Voltaic. These packs supply low-voltage power that can energize cell phones, notebook computers, tablets, MP3 players and various other mobile devices. 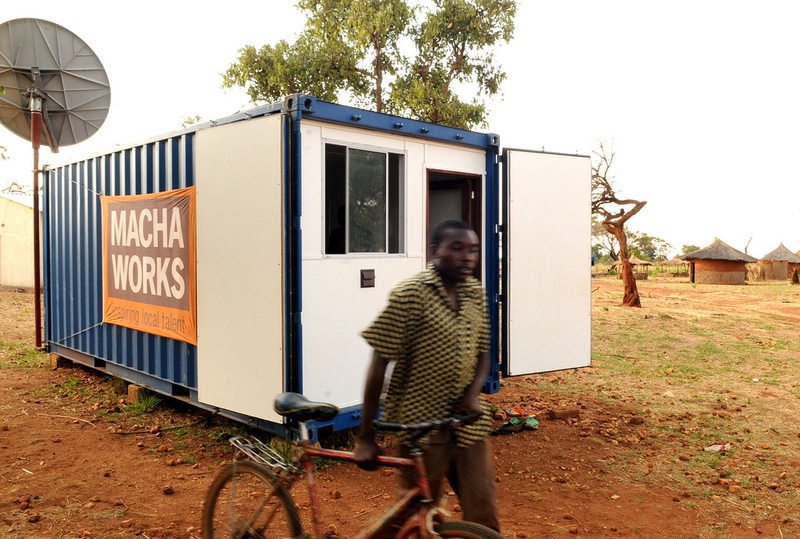 This technology proves desirable for people who travel long distances on foot, whether it’s hiking, or children in Africa who walk miles to school and back every day . 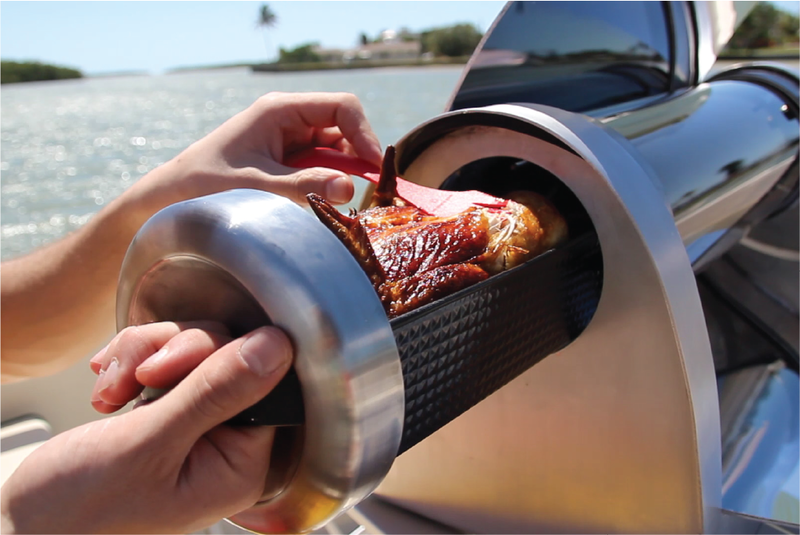 Special outdoor cooking equipment uses the power of the sun to heat and cook meals. Solar grills, ovens and barbecues are available now from companies like GoSun, or this model solar cooker from Cantinawest. 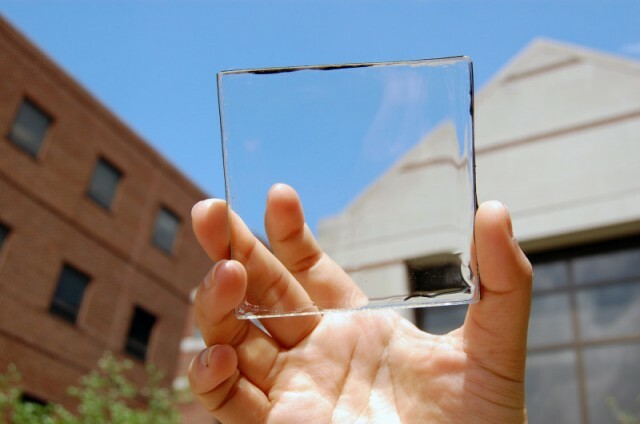 Rather than using photovoltaic panels, they focus the sun’s energy on cooking surfaces. These devices have also become popular in some remote parts of the world where locals don’t have access to electricity, and SCI use solar cookers to empower those who need it most. 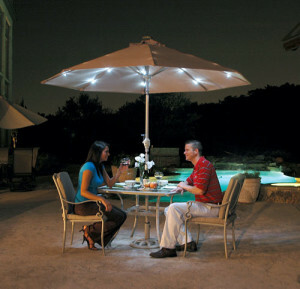 A new design of table umbrella features solar panels that charge batteries whenever sunlight is available. During the nighttime hours, these batteries power bright LED outdoor lights. These have become a very popular poolside feature and is sure to catch on in swanky hotels, beach resorts and many other places. These umbrellas are available at Trademark Innovations and many other places. Some outdoor fountain owners use photovoltaic panels to run their water pumps. 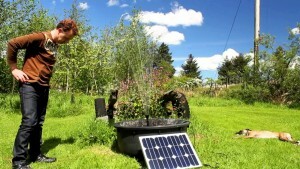 Solar fountains, like these from Serenity, have become very popular. Not only does this save electricity, but it eliminates the need for a nearby outlet and unsightly power cords. However, it is recommended that the fountain mustn’t be shaded by a nearby building or tree. Internet cafes, even medical centers, and even movie theaters, like Sol Cinema, have been designed to completely run on solar energy. 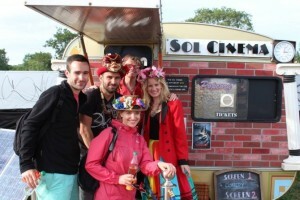 Sol Cinema is the world’s smallest movie theater, and an audience of 8 adults are treated to red carpet, usherette service and popcorn for a unique cinematic experience. 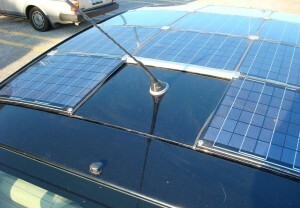 Although it’s not realistic to run a car with solar equipment mounted on its roof, the additional energy can help power it. Canadian engineer Steve Lapp added solar panels and extra batteries to his Toyota Prius. They cost around $3,000 but enabled the car to travel eight more miles on each gallon of gas. A Solar Roof package is now available as an option on the new Prius from Toyota. If you’re walking down the street and your mobile device suddenly detects a Wi-Fi hotspot, stop and take a look around. You may see one of Bigbelly’s solar-powered, Wi-Fi-enabled, recycling/garbage bins nearby. 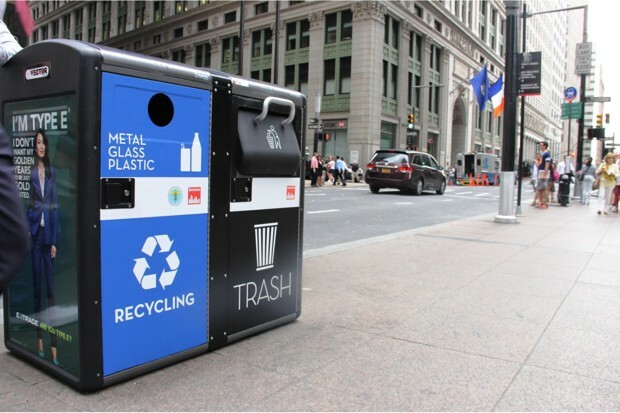 These solar-powered trash compactors are a familiar sight on the streets of big cities including Amsterdam, Boston, Chicago, Dublin, Hamburg, New York and Stockholm. 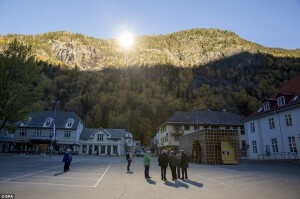 A sun-deprived village in the Italian Alps has come up with a novel solution to fix the problem. The once-dreary mountain village of Viganella has brightened its main plaza by redirecting sunlight from another location. It accomplished this by placing a huge mirror on top of a nearby mountain. 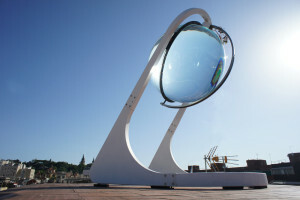 The mirror is angled to reflect light down to the village and controlled by a computer to follow the path of the sun, adjusting to the best angle to ensure the town square is bathed in light. Solar panels will power equipment to automatically wash the mirrors and move them into position. After 5 years of debate, the industrial town of Rjukan in Norway has also followed the same model to brighten up their town square, which was once bathed in only shadow, to become a warm meeting place. Computer Aid International is a UK registered charity who partnered with AMREF to bring a ZubaBox to Kakuma in Kenya. 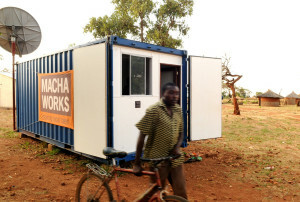 A ZubaBox is a solar-powered internet café constructed from used shipping containers, and they are making their way around several other places around the African continent with the help Dell. 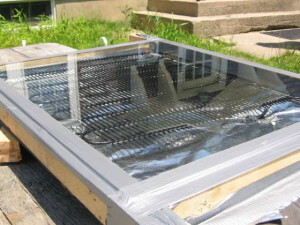 Solar hot water heaters aren’t only on roofs. For under $5, some individuals have built outdoor units to place on their lawns. The temperature of the hot water rises as high as 170 degrees, and you can easily use it to clean outdoor equipment or surfaces. The spherical sun power generator is a unique invention that can literally squeeze more juice out of the sun. Also known as the Beta.ray, this device from Rawlemon is set to have many home applications. It is able to absorb sun rays during overcast days, early mornings, late evenings, and it is even able to harness moonlight! Can you imagine being able to produce drinking water in the middle of the city out of thin air? That’s exactly what the Fontus allows you to do. This exciting, inexpensive technology attaches to a bicycle and has the potential to help people with limited access to safe drinking water. 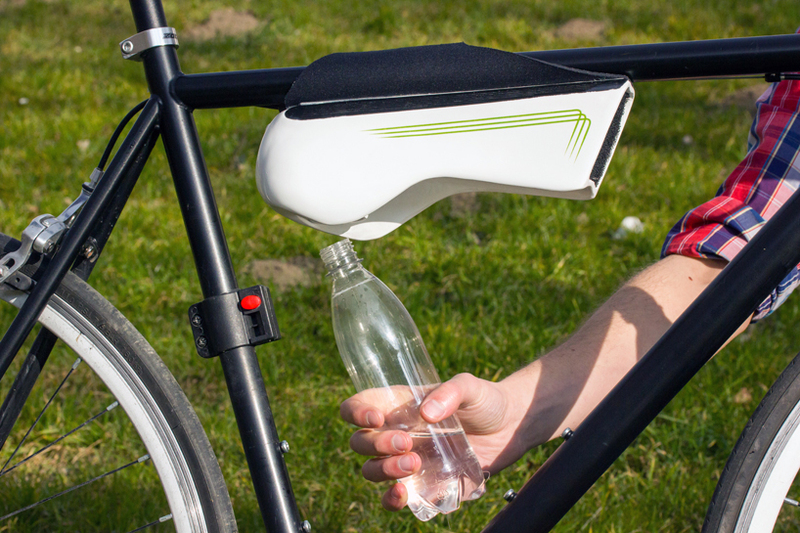 Once a bicycle moves, air enters the holder while the small photovoltaic panels supply enough energy to cool it. Brooklyn-based designer Andrew Schneider released this limited-edition solar-panel bikini, also known as the iKini, in the summer of 2011. For those fed up with their iPod running out of power when lazing about in a bikini, this is the answer! The device can power small electronic gadgets such as iPods and cameras via a USB port. Of course ladies are able to go swimming while wearing the iKini, but must dry well before hooking it up.